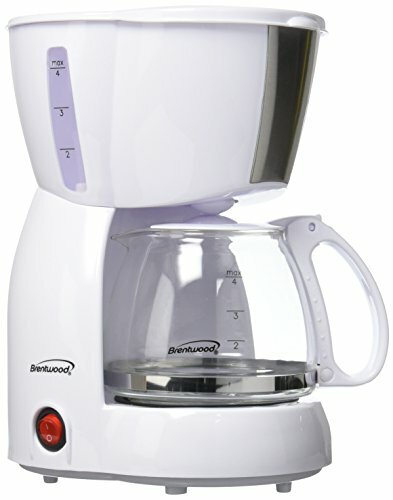 Use the Brentwood TS-213W 4 Cup Coffee Maker to make a perfect pot of coffee for you, family, friends, and coworkers. Simply place the grounds, add a cup of water and hit the power button to start brewing. Warming plate keeps your coffee hot. Save money and help protect the earth using the included reusable mesh filter basket. Use the included reusable scooper to choose the number of cups and strength of your coffee. Never guess with the built-in water level window. Our coffee maker is entirely BPA Free. Removable filter basket makes clean up a breeze.